We approach the different disciplines that we teach through the concept of compatibility of body sensation and usage. This means that every health exercises and fighting arts that we practice and teach use movements and technics that respect body integrity and are foremost aimed at preserving and promoting global health. In the case of fighting arts this gives the perspective of remaining, and even increasing, defence skills throughout life as the natural aging process occurs in all of us. The first rule of self defence is not to hurt and damage one's body, especially while training. The ultimate aim is to build a healthy body and a sound mind. 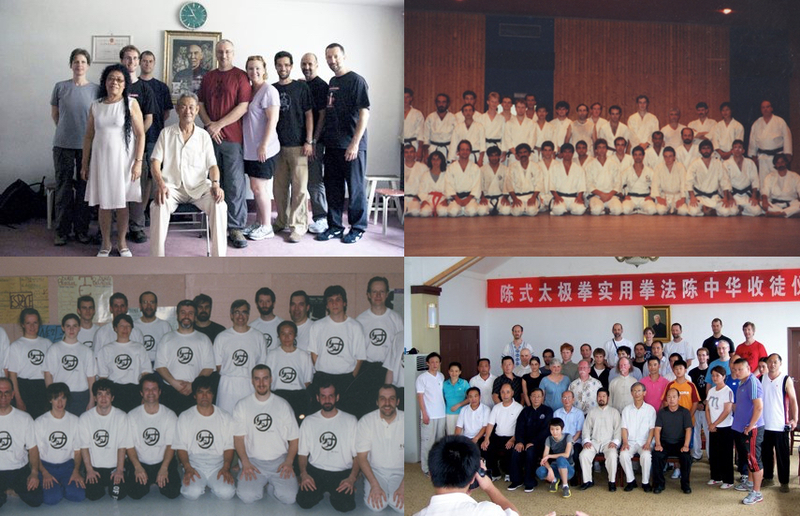 The Munndialarts school, founded by Philippe Munn in 1989, offers training programs and seminars in fighting arts and health exercises from China and Japan. Since its beginning almost 30 years ago, our school as always strived to improve its programs by seeking the knowledge of different high level experts in our chosen field of study. Philippe Munn has practiced fighting arts and Japanese and Chinese health exercises for more then 40 years. He has intensively practiced several styles of karate-jutsu which he graduated with varying degrees of black belts. Karate-jutsu constitutes the base of his research and his practice in his early training. He studies dachengquan (yiquan), taijiquan, xingyiquan as well as other styles of wushu (Chinese martial arts), disciplines which he has taught for several years. He is the disciple of grand master Guo Guizhi (郭贵志) of the dachengquan (yiquan) school of Chinese martial arts and the initiator of the dachengquan Canada group. Master Guo Guizhi was the disciple of Master Yu Yongnian and master Yao Zongxun for many years. He also studied briefly directly under grand Master Wang Xiangzhai, the founder of dachengquan (yiquan). He started a renewed study of the fundamental principles of chen style taijiquan practical method under master Chen Zhonghua. Master Chen Zhonghua was the disciple of Master Hong junsheng, himself one the major disciple of grand Master Chen Fake. Master Chen Zhonghua was also the disciple of Master Feng Zhiqiang. He was also the student of master Tokitsu Kenji founder of the jiseido tokitsu-ryu school whom Philippe calls one of his greatest influence in his practice of the budo. Master Tokitsu Kenji is a very renowned martial artist and author who has studied various methods such as: karate, ken-jitsu, yiquan, taijiquan, xingyiquan, baguazhang, yayama kiko (qigong) method, nishino juku, taikiken and others before creating his own school of martial arts. 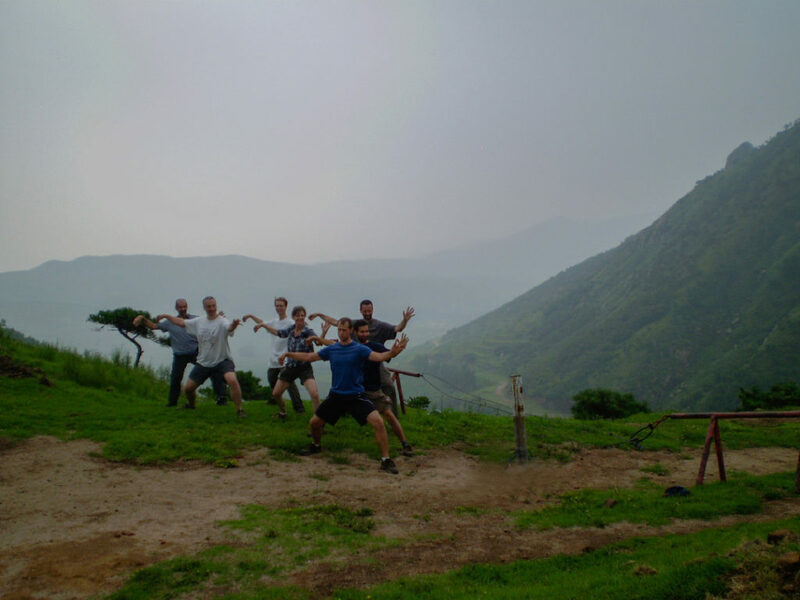 Moved by the desire to share and communicate his experience and knowledge, Philippe Munn teaches the martial arts as well as the Japanese and Chinese health techniques via specialized training courses and seminars. He took part in several television programs, including "Deux filles le matin" and "Josée Gaston et compagnie", in order to popularize this type of practice. He is the author of an important and popular series of video cassettes and bilingual DVD collections on "Martial arts and health exercises", and DVDs devoted to the exclusive practice of the tai chi chuan.